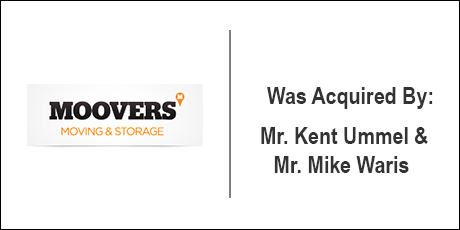 The Buyer: Mr. Kent Ummel and Mr. Mike Waris had been friends and colleagues for many years and sought a business to purchase together as partners. Through relationships in our DVS network we were able to quickly and quietly connect with them to determine that they were excellent buyer candidates for Moovers. The Seller: Moovers as a brand was developed by Mr. Caleb Markovich over the course of 10 years. He created a franchisor and two successful operating entities in Kansas City and St. Louis. When it was time for the business to move to the next level, Mr. Markovich contracted with DVS to find a buyer who could accomplish the next stage of growth for all 3 entities. The Close: A deal involving multiple affiliated entities, SBA lending, and a relatively untested franchising system took several months to complete. The final transaction included elements of consideration for proprietary software, marketing enhancements, and non-competition clauses to align all incentives properly.